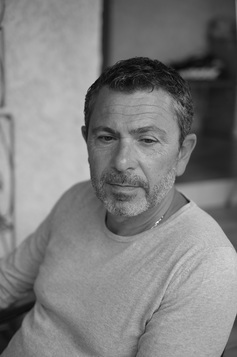 Franck Benoualid is a self-taught painter who started his career as an artist in 1980. Through the years his work went through many phases, influenced by such artists as Pablo Picasso and Francis Bacon. Even though his interest in his beginning leaned towards abstract art, Frank’s current work is figurative, exploring the human body, the way it moves and expresses itself. However, his early explorations of abstract art are still discernible in his technique, and the play with colours and textures. His style is expressive, spontaneous and dynamic, the perspective he works with is often the perspective of a photographer. This dynamism is also reflected in his preference for acrylic paint, even though the final result often resembles oil on canvas. As the artist himself says, he simply has not the patience for oils. NORTH art fair, Aalborg, represented by GALLERI V58, Aarhus, Denmark.